I am a Triathlete and Coach living in Bend, OR. After 5 years in the sport, with years of running before starting to compete in Triathlons, I'm excited to be sharing what I've learned through experience and studies with athletes looking to race their first triathlon or get a new PR! Focused primarily on 70.3 and Ironman Distance, but have experience across all distances both from racing and coaching. 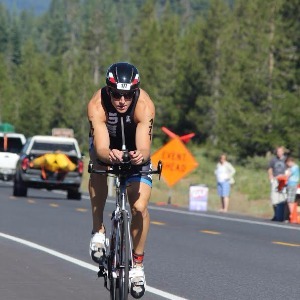 My name is Michael and I am a Triathlete and Coach living in Bend, Oregon. I started racing Triathlons in 2013 after spending 3 years focused on running, most specifically the half-marathon distance. Prior to finding endurance, I was an overweight video gamer and lost over 75 pounds while chasing a new fitness focused lifestyle. I love the sport and really enjoy all aspects of training, racing, and coaching - especially when I have a chance to give back to the sport that has given so much to me. Athletes must have at least an ANT+ heart rate monitor for run and bike, and I would prefer a Power Meter. Open to all athletes! Success. Coach Michael Wolber has been notified of your message.